At the end of Zine Entry #37 – Calbayog to Cubao we had just arrived in Cubao, it was about 0630. 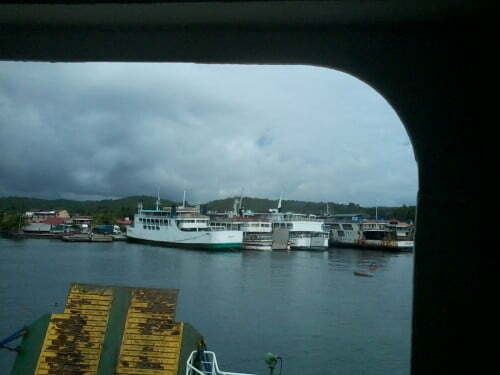 Cubao was our destination, the place we paid to go, but we did not get out there. We found out that it would be easier and less expensive for us if we take the bus all the way to Pasay instead, the next stop. Lita was talking to the bus driver and he told her this. He said that the best bus to take would be 5-Star and that he had to go right past it on the way to the DLTB terminal. He would stop to let us off in front of the 5 Star terminal. This little tip ended up saving us P350 because we didn’t have to take a taxi to the correct bus terminal in Cubao like we did before. A savings is a savings and we didn’t have to do anything extra. The fare for the 5 Star bus to Dau Mabalacat (Angeles) was P150 each. 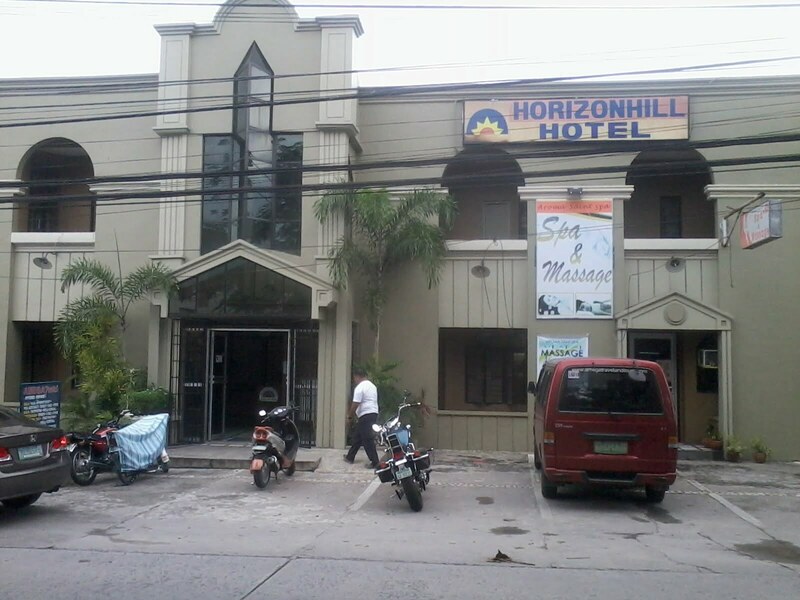 After arriving in Dau, a tricycle ride to our hotel, Horizonhill Hotel, was P100. Lita paid P150. We did have reservations and there was not a problem with them. The deluxe room, with their awesome 30% rainy day special is only P826 per night. Their standard rooms are P765 with the special. The only real difference I could tell in the rooms was that the deluxe had a refrigerator and a table with 2 chairs, while the standard did not. There is also a 20% discount (not in conjunction with the 30% discount) if you have a VFW card. That is year round so it comes in handy when it is not rainy season. Lita and I were hungry so after checking in the room, we headed for the restaurant. Now y’all know that I’m a picky eater. I’ve said it dozens of times on this blog. I’ll have you know that everything that I ordered on their menu, I liked. I’m not talking about just this first day either, I’m talking EVERYDAY we were there. 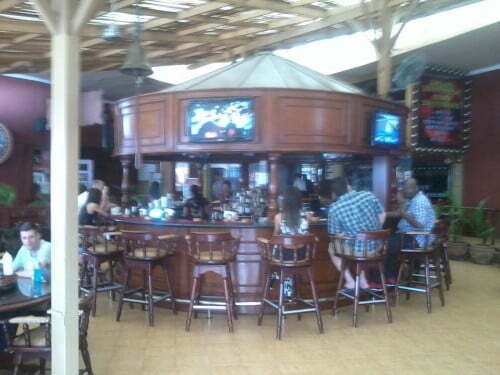 This hotel is full of expats from all over. I think one American guy is actually living there with his wife. The monthly rates are a bit lower than the regular rates and he said it’s easier than putting up with Filipino landlords. At least easier than the last Filipino landlord he had. 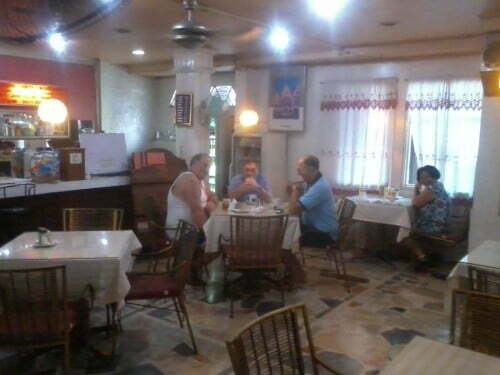 After eating and resting a few moments in the room, I called an expat that I met online. His name is Ray Blazier. Since I had no clue how to get to him, he came by the hotel. Lita decided that she was too tired and was actually sleeping by the time he arrived. So Ray and I got a jeepney for a short while and then we walked down Perimeter road to the famous Fields Avenue. 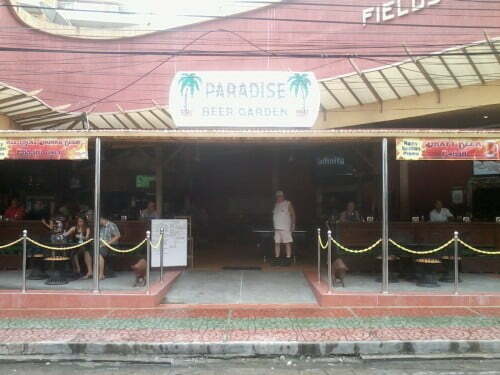 We stopped at one of his favorite watering holes, Paradise Beer Garden. We had one draft each. Mine a SMB (San Miguel Beer) and his a SML (San Miguel Light). I can’t stand that SML. The big guy in white in the center of the picture below, is Ray. Next we walked to one of the local meat/sausage shops because I really do miss good sausage while living in Samar. We found the place, but it looked like it was closed. A nice fellow that was sitting across the street came by and told us that they have not gotten the door bell installed yet, so you have to use the nail hanging on the string to knock on the door. So we did. And it worked. The guy that owns the shop is German and he was really friendly, helpful and honest. He showed us all the meats he had and even let us taste some of the ham and the pepperoni. Both were very good. I so want to get some of this meat before we head back to Calbayog. I especially want to get some of the Italian sausage, the German Bratwurst and some of that ham. Maybe a bit if the Hungarian sausage too. We will see how things turn out. There were some things that he had in his store that he said was not very good and we should not buy them. He said that he normally only sells that stuff to Germans that miss it from back home. Next Ray and I were off to the RAO (Retiree Activity Office) so I could try to get a PO Box. It wasn’t too far away. Their office was closed, but the nice lady in another office next door gave us some details about it. Mainly that the cost for a PO Box is P140 per month and you have to check your box on a regular basis because they only hold items for up to 30 days before sending it back. The office hours at the RAO are Monday – Friday 0930 to 1330 and Saturday 0930 – Noon. That’s some great hours. It was a Tuesday and it was 2:00pm. I did find out that there are also PO Boxes at the VFW, but she thinks that they are all associated with each other. Somehow or another, before we leave off the island, if we get to leave, I need to get a PO Box so we can possibly get our medication sent over. Our next stop was at Ray’s house. He lives close to the American Legion Post #123. When we arrived he sent his wife out to buy some Red Horse beer, because he knows that I like it. 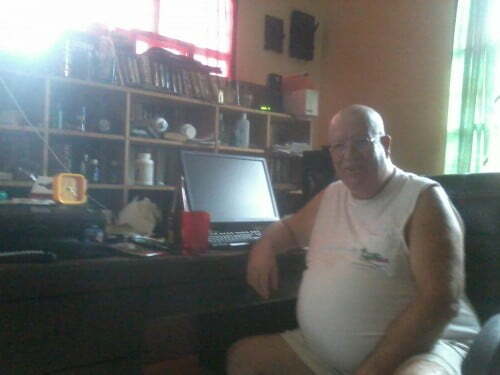 I told him that SMB would be fine, but all he has in the house is SML (yuck). I had paid for the draft beers earlier, but he paid for the Red Horse, so I suppose that makes us even. I was just happy to have someone show me around a little bit. Around about 4:00pm I decided it was time to get back to the hotel to check to see if Lita had woken up yet. I got a P100 tricycle ride back. Just as I got to the hallway upstairs, Lita was stepping out of the room. She was ready to eat again. She liked the chef salad so much that I had earlier, that she just had to get another one. Of course she can’t eat the whole thing, so I had to help. She also got some chop suey. I ordered a BLT and some vegetable soup. I enjoyed them both very much. So basically I had one of my ideal meals: soup, salad and sandwich. I had to get the soup without cauliflower though, I can’t stand the stuff. The “B” portion of the sandwich was more like Canadian bacon and it was oh so very good. The next day (the 7th) was when we had to be at the Haribon terminal to try again for a Space A flight out. As it turned out the whole day was pretty much a big waste in more ways than one. But I’ll have the details of what happen in the next Zine.